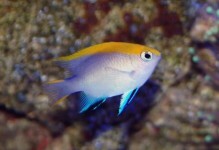 The horn of the Bluespine Unicorn Tang develops when the fish reaches a size of approximately 6 inches. 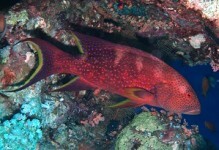 It is located far back on the head and does not extend farther than the tip of the snout. 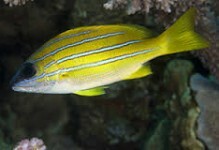 It has large, permanently erect peduncle spines which can easily be tangled in a net or cause injury to the handler. 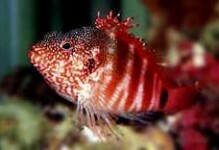 A 360 gallon or larger aquarium is necessary to provide plenty of swimming room and places to hide. 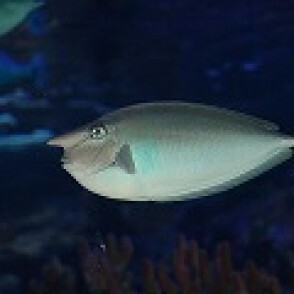 It is aggressive towards its own species, but peaceful with other fish.